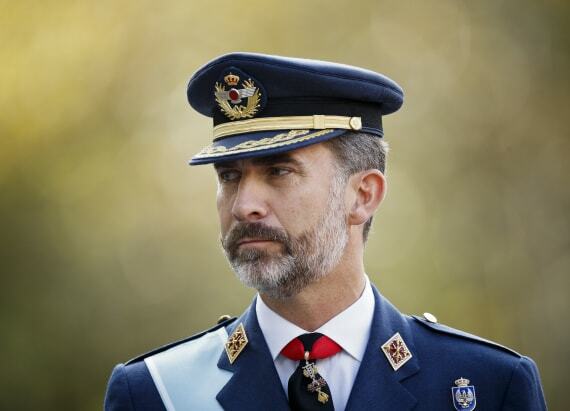 MADRID (AP) — Spain's King Felipe VI stripped his sister Princess Cristina of her title as Duchess of Palma de Mallorca on Friday in the latest move to distance the royal family from the princess as she awaits trial for tax fraud. Cristina, 49, has been indicted as part of a four-year probe into her husband, Inaki Urdangarin, who faces charges including money-laundering and fraud. Urdangarin automatically loses his title as duke at the same time. The couple's trial is expected late this year. Cristina's lawyer, Miquel Roca, said the princess had sent a letter to the king asking for the title to be removed but the palace said the king had made the decision before the letter arrived and he communicated the decision to his sister by phone Thursday. The princess was given the title when she married Urdangarin in 1997. Cristina is sixth in line of succession to the throne and calls have increased for her to renounce her princess title and rights to the throne so as to protect the image of the monarchy ahead of the trial. The couple has been sidelined from royal acts since 2011. She is the first Spanish royal family member ordered to stand trial since the monarchy was restored in 1975. If convicted she could face up to four years in prison. Urdangarin, a former Olympic handball medalist turned businessman, faces a possible sentence of up to 19 years. Urdangarin is accused of using his title to embezzle about 6 million euros in public contracts through a nonprofit foundation he and a business partner set up. A further 15 people are charged in the case, one of several scandals to affect the royal family under former King Juan Carlos, who abdicated in favor of Felipe last year. On taking the throne, Felipe said he intended to restore public trust in the monarchy.